Find My Workspace lists over 95% of the executive office suites market in Charlotte (North Carolina). Simply click Request Quote to check pricing for one office, or Add to Basket for multiple offices. This center has a combination of flexible coworking and private office space making for great options designed specifically for you and your team. Take the chance to office out of this space to connect with like-minded individuals to grow your business and network. Collaborate with the team in the conference and meeting rooms and enjoy 24-hour access to the centers worldwide. Stop in today and meet with one of the on-site management team members to assist you in finding the perfect flexible space for you and your team. Take a look at the amenities that are designed to meet all of your business needs. This fantastic facility combines fitness training, co-working space, and the opportunity to learn through various seminars. The “co-fit2 philosophy was created because the founders envisioned a space that provided a balanced, active lifestyle full of growth minded people pushing their physical and mental limits in life and work. The space wanted to level the separation between work and “play.” Instead of people driving to the gym, back home, and then to work this center dreamed of them just driving to one place! A “hub” if you will. For developing the mind and the body. At this space you can essentially work, exercise, learn, and be social all in one location! This space provides everything you need to grow your business from the day you move in, including furniture, fiber internet and WiFi, and 24/7 access to your office. Our all-inclusive pricing means you don’t have to worry about extra charges for top-of-the-line amenities like a coffee bar, sparkling water, local beer on tap, mail service, or taxes and utilities. Plus, you’ll enjoy access to all of the community events, happy hours, and networking lunches that makes a vibrant ecosystem of entrepreneurs, energizers, and influencers. 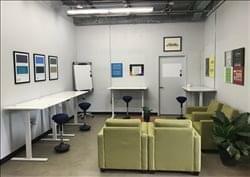 This new workspace in the heart of Charlotte’s second ward, provides both coworking and private office options to cater to your unique business needs. The space offers members access to amenities such as; relaxation areas, unlimited printing, a super-fast WiFi and broadband connection and access to a coffee bar and lounge area. With large windows and situated on the 27th floor, members get a 360 view of the beautiful Charlotte skyline. Updated, professional space in downtown Concord with multiple offices overlooking Union St. and Market Street in Historic Downtown. Tons of light brightens offices with large windows throughout the space. Several private offices available on the second level ranging from 150 – 350 square feet. Perfect for small businesses including Real Estate Agents, Graphic Designers, Web Developers, Artists, Massage Therapists, etc. This fantastic and exquisitely furnished premium business center location in uptown Charlotte is centred around its key belief in empowering and assisting the development and continued success of small business, the self-employed and ambitious entrepreneurs because the value in these types of professionals is a vital contribution to business as a whole. They offer a modern & professional office space to run your business, and offer it at an affordable rate. 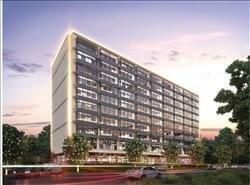 So they offer fully furnished, amenity-rich workspaces with 100 MBPS fiber internet & Wi-Fi in multiple prime locations. Inquire about renting a budget-friendly private office, virtual office, coworking, meeting or event space.